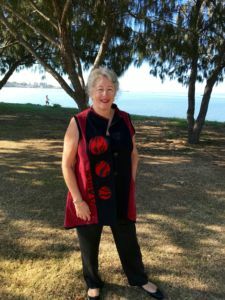 creativeartWEAR is creative wearable art available online for my customers – specialising in clothing online for mature women. Wearing art makes a statement and consequently creativeartWEAR strives to make all women feel special. What is creativeartWEAR? 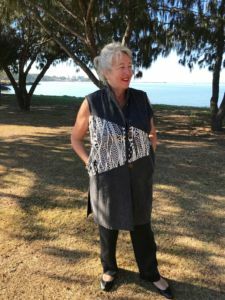 It is me – and my love of fabric and fashion, and as a result, it has led me to this venture. Therefore, I want to showcase clothing online for mature women. I have been sewing since I was a small child. However, now that I have reached a level of maturity – I understand the issues we women have when buying clothes. The use of natural fibres in clothing is certainly most important to creativeartWEAR. Most Noteworthy – Did you know that cotton is the most widely used natural fibre cloth used in clothing today? Most Noteworthy – Did you know that linen is a textile made from the fibres of the flax plant? Linen textiles are some of the oldest in the world. However, absolutely linen wrinkles, but that is part of the carefree, lived in beauty of linen. Most Noteworthy – Did you know that the best-known silk is obtained from the cocoons of the larvae of the mulberry silkworm reared in captivity? The prism-like structure of the silk fibre allows silk cloth to refract incoming light at different angles. Therefore producing different colours. 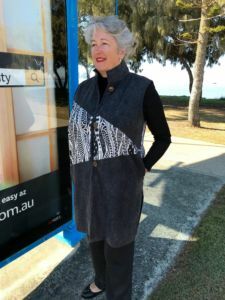 Providing clothing online for mature women that has a relaxed fit is a dream come true. I can provide you with styling tips, recommending garments to suit your figure type. I will talk about this in more detail at a later date. The guide to successful dressing is firstly to know your body type. Have your wardrobe essentials and build on them. Wear a shirt as a jacket or a jacket as a shirt. Wearing natural fibres that breathe makes you feel cooler in summer. With layering, it can be as equally warm in winter. Only have key pieces in your wardrobe. This fact is the foundation of a functional, long lasting wardrobe. Sustainability is key. As a result the care of your garment is even more important. creativeartWEAR does not want you to buy lots of garments you will not wear. But I want to help you achieve the best person you can be. Feeling good on the outside is a great start. creativeartWEAR showcases layered look clothing. Clothing to take you from summer to winter, and certainly in between, with the addition of layers. I am not a professional blogger. I am someone not overly comfortable with computers. However, if you choose to be part of the journey, all your questions will be answered. Developing your personal style is not easy, but you will gain more confidence in how you dress if you understand your body shape above all else. Therefore, choosing the right garment becomes easy. Many women who have been in the corporate world their entire working life find it difficult to leave that structured style of dressing. Therefore, with my help, this is the time for you to bloom as an individual. 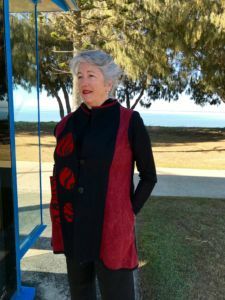 First of all – send your questions to – lindy@creativeartwear.com.au. Lets get your journey to fabulousness started.